One of Acappella’s all-time best sellers, Set Me Free is twelve songs worth of energy, dedication, contemplation and jubilation. We consistently hear that this is one of everyone’s most favorite albums. In many ways, Set Me Free reflects the strength of Acappella’s success during the era of George Pendergrass, Gary Moyers, Wayburn Dean and Duane Adams. 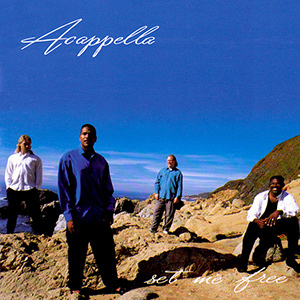 The first song of the album, “Only Truth,” was awarded the Signed Professional Best Song for 1994 by the Contemporary Acappella Society.